This was my first use of my new inflatable stand up paddle board which arrived a couple of weeks ago. 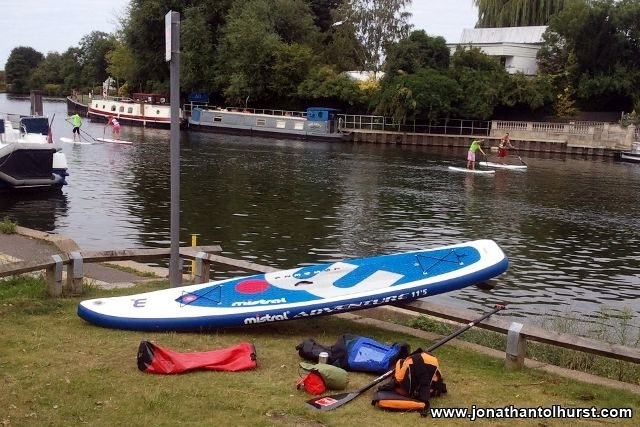 On Saturday morning I took an early train to Surbiton before walking down to Kingston where I promptly set about inflating my paddle board. Inflating the board seemed to take ages but after 25 minutes the board was inflated to the correct PSI and I was ready to go. I chose this stretch of the river for a first run as it is non-tidal and is used by human powered craft.